I remember when the original Tamagotchis were popular. 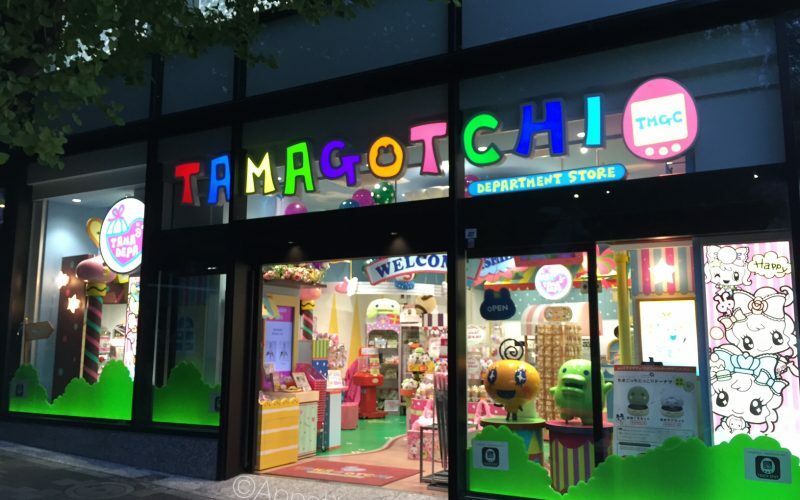 They came out in 1996 – who’d have thought that twenty years later I’d be writing a blog post about a Tamagotchi store in Japan?! 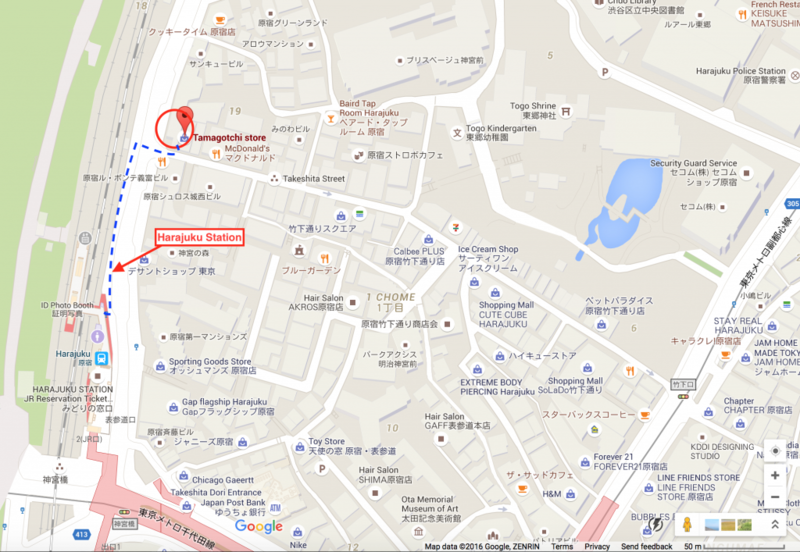 Although Tamagotchis didn’t really appeal to me back in the day, it was still a bit of a novelty stumbling upon the Tamagotchi Department Store (also known as TamaDepa – たまデパ – for short) during a recent trip to Harajuku. 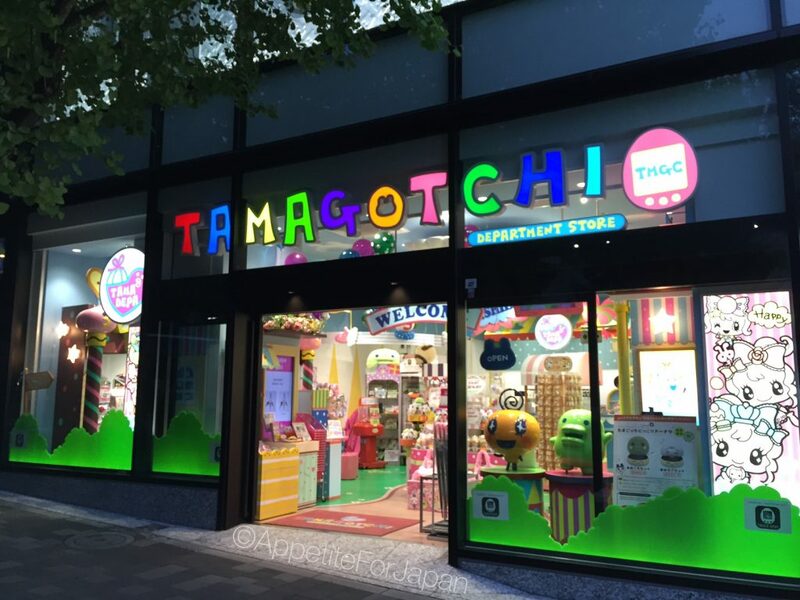 The Tamagotchi Department Store – though hardly a department store (it’s just a single, small shop) – has plenty of merchandise, from stationery to phone charms, sweets and snacks. 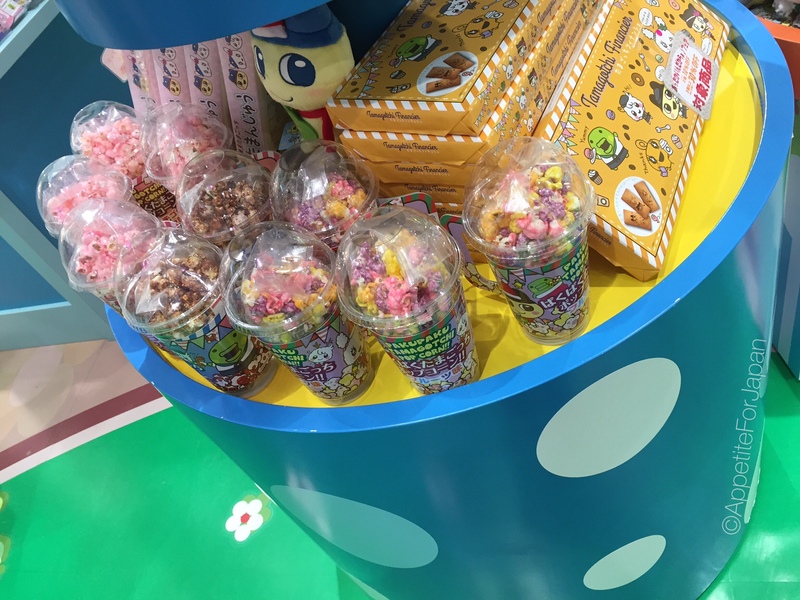 Everything is Tamagotchi themed. I should have taken more photos, but I’d just eaten way too many delicious Japanese crepes from around Harajuku and was ready to roll back to my hotel room to slip into a crepe coma. 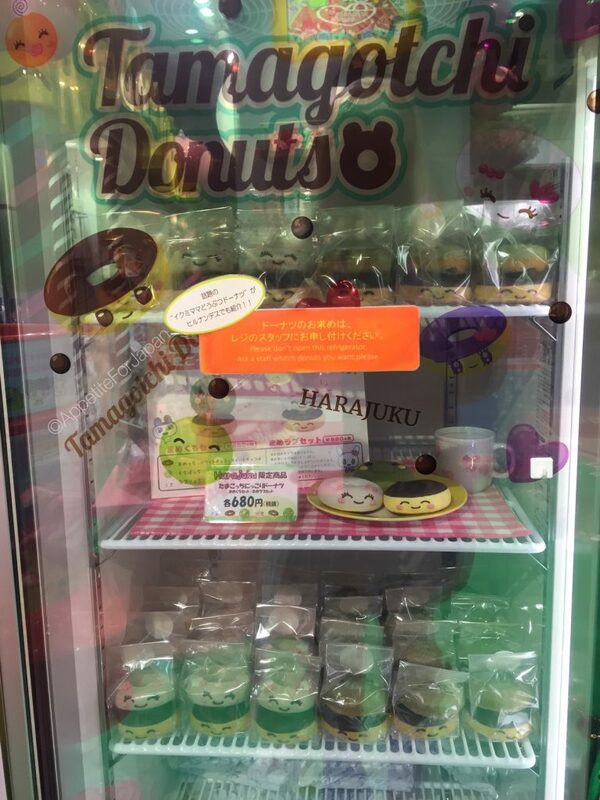 I did manage to get a quick photo of the Tamagotchi popcorn (above), and the rather kawaii Tamagotchi donuts (below).